THz imaging systems have gained a lot of interest during the past decade to explot many of the intersting properties of THz waves. However, cost is an issue. 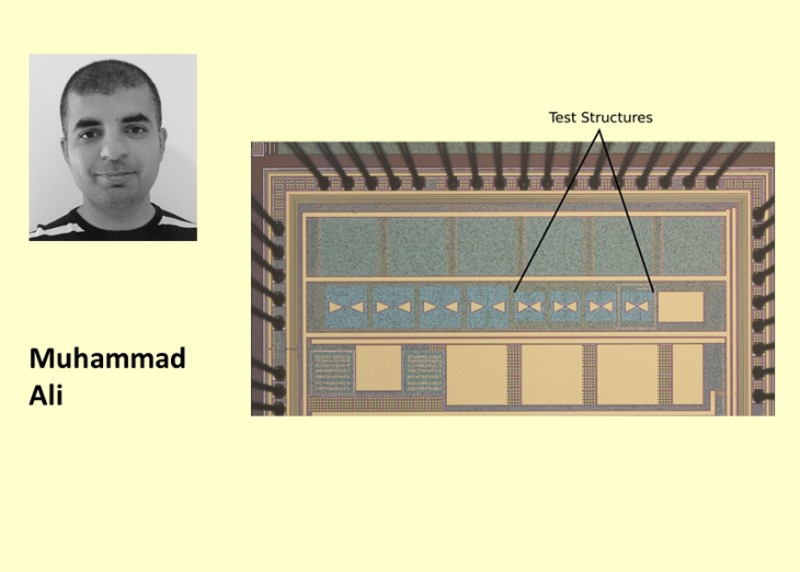 This research focuses on realizing an all CMOS based THz imaging prototype. Solid state neutron detector is an important topic due to the lack of 3H used in this field. 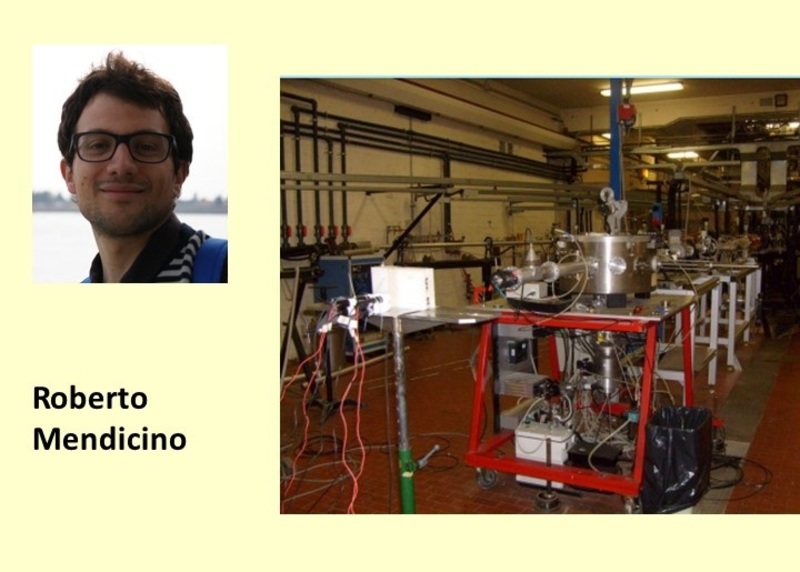 The research is focused on the development of a relatively low cost neutron detector based on Boron converter. It is designed in order to be easily connected to existing front-end electronics for imaging applications. Sustainable energy and energy harvesting has become a hot research area due to the shortage of fossil energy resources and burning fossil fuels release greenhouse gases in our environment, which is partaking in gradually increasing of surrounding temperature of our environment. Therefore, the penetration of various types of renewable/ distributed sources, onsite storage devices and DC powered appliances has recently focused attention towards DC power distribution in consumer grids to achieve the target of zero/positive energy buildings and communities. As compared to AC micro grid, many recent studies revealed that DC distribution has many advantages over the convectional AC distribution in term of high efficiency, integration of renewable/ distributed sources and storage locally. 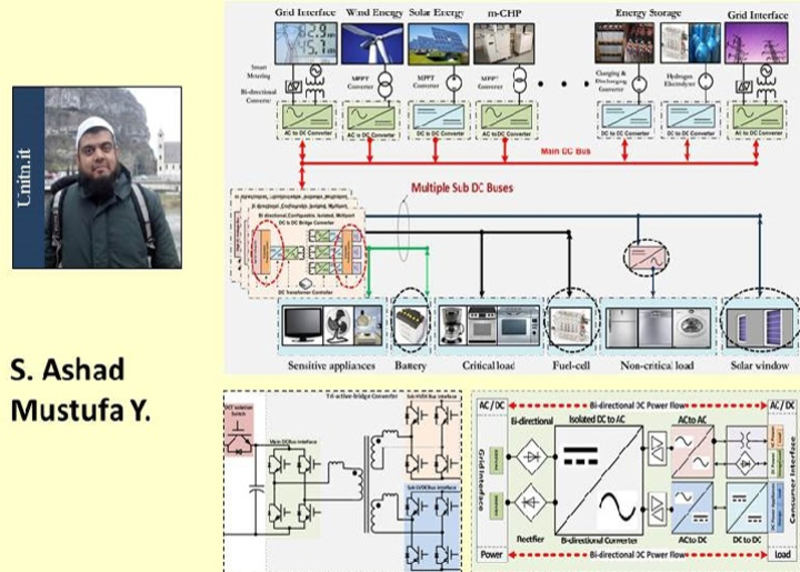 The objective of this dissertation is to propose reliable, cost-effective, sustainable, scalable DC consumer grid architecture which can integrate not only renewable/ distributed sources and storage, but also fully compatible with the convectional AC distribution network without any significant change or upgrade. In order to achieve this goal, we proposed the DC Transformer (DCT) enabled consumer grid model. The DC Transformer has been regarded as one of the most emerging technologies and it has many advantages over the convectional low frequency AC transformers such as high power density in small area, voltage regulation, reactive power compensation, fault detection and isolation etc. Apart from advantages, DCT required intelligent control algorithm and additional supervisory circuit makes it complicated and expensive. Therefore, in our proposed model we discussed the pros and cons of typical Solid-State transformer topologies already proposed and explained the topology used in the DCT transformer. Furthermore, in state of the art models, authors used three stages of grid operational modes, which is usually based on different factors such as the status of grid connections, State of charge of Battery storage and output power from locally available sources. However, we introduced four stages excluding buffering stage. All stages are depended upon the practical situations consumer grid may face during normal grid operations such as, DCT Isolation mode, if main grid and local generators are not available then how our proposed model would manage the locally available storage. Main grid interactive mode, we discussed the existing or convectional grid operational condition. In case of no local generator available and the AC main is the only source of power. Self-reliance grid operation, when the renewable energy sources are generating enough energy to fulfil demand side power requirements. Moreover, we explain the safest transition technique from grid connected mode to self-reliance mode without effecting overall grid stability and reliability, called buffer state. Power sharing mode, in this mode we discussed how the locally consumer grid would share surplus energy with adjacent consumer grids without effecting or compromising its own stability. The purpose of proposing critical operational modes and defining the rigid criteria between transitions of each mode is to operate whole grid flawlessly in any real time condition. Moreover, we introduced “Buffer stage” in between the grid connected and self-reliance mode to take into account that renewable sources are stochastic in nature and to avoid any grid stability issue. The operational modes are among key techniques of our proposed architecture and the detail contribution of our proposed model. Some practical issues related to the DC micro grid are also examined in detail, such as overall grid control algorithm, power management strategy, demand side management, fault isolation and rectification are highlighted and the solution of these issues also presented with detail simulation results. Furthermore, the state of art DC grid models are proposed for specific type of renewable source(s) such as PV, wind or combination of both. In our proposed architecture, we are not depending on any specific type of renewable and distributed source or storage. We proposed the standard interfaces for possible type of renewable /distributed sources, storage and grid connection. Therefore, by using the standard interface any type of the source and storage can be plug-n-play in PCmRC model. However, the main objectives are to maximize the exploitation of renewable-sources, to decrease reliance on fossil-fuel, to boost the overall efficiency of the grid by reducing the power-conversion losses and full management of end user demand in all possible forms.